What is Design, Build & Sell Scheme (DBSS) Flats? The Design, Build and Sell Scheme (DBSS) was introduced in 2005 to offer greater choice and wider variety to meet the housing aspirations of higher income flat buyers for better design and finishes. DBSS flats are public housing flats developed by Private Developer. The developer, who has successfully bided for the land from HDB, will undertake the entire development from planning, design, and construction, to the sale of the flats directly to eligible buyers. DBSS flats will be offered for sale under similar eligibility rules, terms and restrictions as applicable to new HDB flats. For the purchase of DBSS flat, HDB provides HDB housing loan and conveyancing services at a fee to the buyers. DBSS is a class of housing type between HDB flats and Executive Condos (EC). The design of DBSS will have to maintain open access to common properties. There will be no fencing and no facilities such as swimming pool, gymnasium and tennis courts. Upon completion of the building, the developer will hand over the entire development site to HDB for lease administration, and to the Town Council for maintenence of the common areas and car parks. DBSS are generally located in mature estates and in good locations, such as Boon Keng, Bishan, Toa Payoh, Tampines, Bedok, Clementi, Jurong, Upper Serangoon and Pasir Ris. A total of 13 DBSS sites were launched during the period 2005 to 2011. In 2011, the DBSS scheme was placed under review and the sale of new DBSS sites was halted. Thus, "Pasir Ris One", the 13th DBSS project, could possibly be the final DBSS project in Singapore. Adora Green @ Yishun Avenue 11 - TOP Obtained. Fully Sold. Contact us at 9878 1591 on updated availability! Belvia @ Bedok Reservoir - TOP Obtained. Fully Sold. Contact us at 9878 1591 on updated availability! 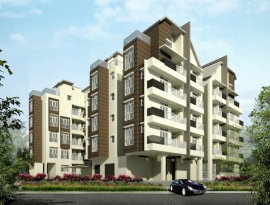 Centrale 8 @ Tampines - 5rm Flats still available. Other Races Only! TOP Obtained, Immediate Occupation! Contact us at 9878 1591 on updated availability! Lake Vista @ Yuan Ching - TOP Obtained. Fully Sold. Contact us at 9878 1591 on updated availability! Parkland Residences @ Upper Serangoon - TOP Obtained. Fully Sold. Contact us at 9878 1591 on updated availability! Pasir Ris One @ Pasir Ris - 4rm Flats still available. Other Races Only! TOP Obtained, Immediate Occupation! Contact us at 9878 1591 on updated availability! Trivelis @ Clementi - TOP Obtained. Fully Sold. Contact us at 9878 1591 on updated availability! If you have a property to sell or lease in Singapore (any district), get the Maximum Exposure from our list of local and International buyers and tenants! Register or Call Us for a non obligatory discussion now! 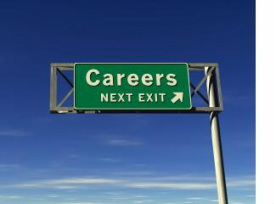 Considering a Career switch? Come along and establish your dynamic real estate career right NOW! We are committed to growing your CAREER.